TORONTO, ONTARIO, January 30, 2018 – TOYOTA GAZOO Racing can confirm its drivers for the 2018-19 FIA World Endurance Championship (WEC) season, with Fernando Alonso joining the line-up. TOYOTA GAZOO Racing will again utilize its 1,000hp TS050 HYBRID car, which won five of nine races in 2017. Development of hybrid technology remains an integral element of TOYOTA’s participation in endurance racing as part of the company’s commitment to making ever-better road cars. The driver line-ups for the two TS050 HYBRIDs are now confirmed, with the #7 car competing with an unchanged line-up of Mike Conway, Kamui Kobayashi and José María López. The #8 TS050 HYBRID features a revised driver line-up, with Sébastien Buemi and Kazuki Nakajima joined by two-time Formula 1 World Champion Fernando Alonso. Fernando, 36, will make his LMP1 race debut at Spa-Francorchamps in May and will compete in all rounds of the 2018-19 season which do not conflict with his existing Formula 1 obligations. 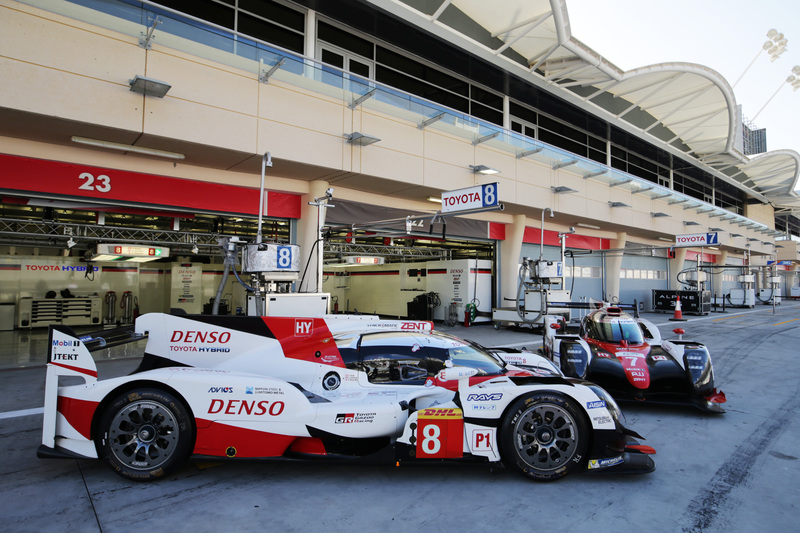 Anthony Davidson, who won five races in 2017 alongside Sébastien and Kazuki, will remain an important member of the team, bringing his World Championship-winning experience to a new role as Reserve and Development Driver. Two-time Le Mans winner Alex Wurz will continue as Team Advisor and Ambassador having made a significant contribution since taking the position in 2016. To Fernando Alonso, I say thank you so much for choosing Toyota as a partner for making your Le Mans dream come true. I am extremely thrilled that Fernando, who has battled it out in numerous races and seen things that nobody on our team has ever experienced, will be driving for TOYOTA GAZOO Racing. I believe that having Fernando get behind the wheel for our team will only make our cars better. I am looking forward to seeing how much TOYOTA GAZOO Racing will grow when our drivers and all team members take what they have learned thus far in endurance racing and add to it what they will gain from Fernando’s experience. The entire team is excited about this opportunity for growth. Through the challenge of WEC endurance races and, among those, on the grueling roads of the Le Mans 24 Hours, TOYOTA GAZOO Racing will do its best, together with Fernando, to outdrive the competition. And, toward our ultimate aim of providing our customers with ever-better cars, I hope we will be able to race with shared aspirations at heart. We welcome Fernando and, together with Sebastien, Kazuki, Mike, Kamui and José for a total of six drivers, TOYOTA GAZOO Racing will go all out toward achieving all of our goals. I look forward to everyone’s support of TOYOTA GAZOO Racing this season as well.